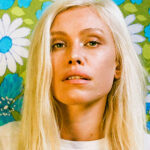 Brooklyn electropop duo Cultfever has set their sights on a 2013 takeover. First stop: a new 7" single, Animals, dropping physically on March 6th, out now electronically. Their first set of new music since 2011's eponymous debut, Animals gives way to some experimental tinkering and risk-taking while staying within the confines of Cultfever's brand of electropop. Side A, "Animals," beeps and whirrs right into an arpeggioed dance party from the get-go. Choppy guitar riffs and searing synth lines float around Tamara Jafar's sultry, airy vocals through the verse. It culminates in a surging multi-part harmony reminiscent of early-90s R&B productions, only to settle down back into a second verse. What differentiates this song is that as one waits for the chorus to soar in after the second verse…it doesn't happen. Instead, guitarist Joe Durniak rattles out a guitar solo that sounds straight out of Wild Mood Swings/Wrong Number-era The Cure. Then, as the madness dissipates into Jafar's whispers of reaching out to "animals" over a chimes and keys, the listener realizes, this is no ordinary Cultfever song. The song, instead, works in several chapters, with ups, downs, and turns that lead the listeners around a musical colorbank from which Cultfever paints. Guitar riff here, vocal texture there, synth line here, etc. It's an amalgam of sounds on the duo's plate. B-side "Chicken" strays even further from and goes ever faster than Cultfever's debut, beginning with swirling, mathy funk riffs akin to A Crow Left of the Murder-era Incubus, late '80s jazz fusion/rock, and early No Doubt. The feeling then calms into palm-muted calmness to showcase Jafar's vocals (which is a Cultfever signature that is also evident in "Animals"). More minimal, but still frantic guitar work pushes the song in front of a punk rock rhythm section in what proves to be one of Cultfever's fastest, most aggressive songs. Few keyboards are featured as multiple spidery guitar licks and power chords create the melodic base of the song. It's an intriguing listen and creates a bit of an enigma as to where Cultfever is heading in this next phase. Having questions to answer is never a bad thing for a band, however. Judging from this progression, it is evident that Cultfever is up to the task. 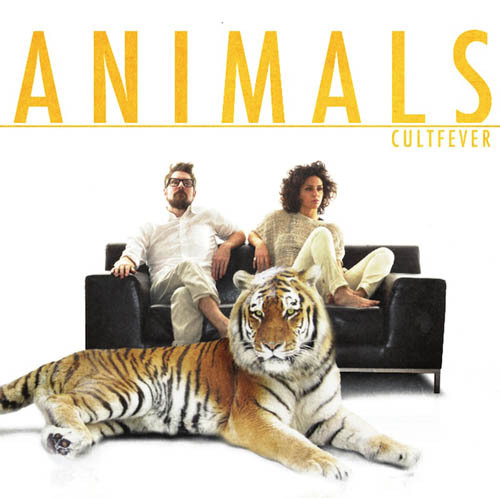 The two tracks on Animals hone in on the unique quirkiness and retro funk that occasionally shone through on several tracks from Cultfever's debut, such as "Rouge" and "Farm." This is a smart move, as this is what can set Cultfever apart from the deluge of female-fronted edgy electronic duos that has flooded the last few years of independent music. However, the slower, more brooding, but immensely catchy qualities of the rest of Cultfever's back catalogue is certainly missed. The hooks aren't quite as strong here, but the various guitar riffs and vocal melodies still revisit the listeners' minds after spending time with the songs. 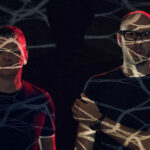 Finding middle ground between the band's capable, concise past material and this more scattered and thought-provoking approach will clear a path for Cultfever to be a unique entry in the electropop environment.